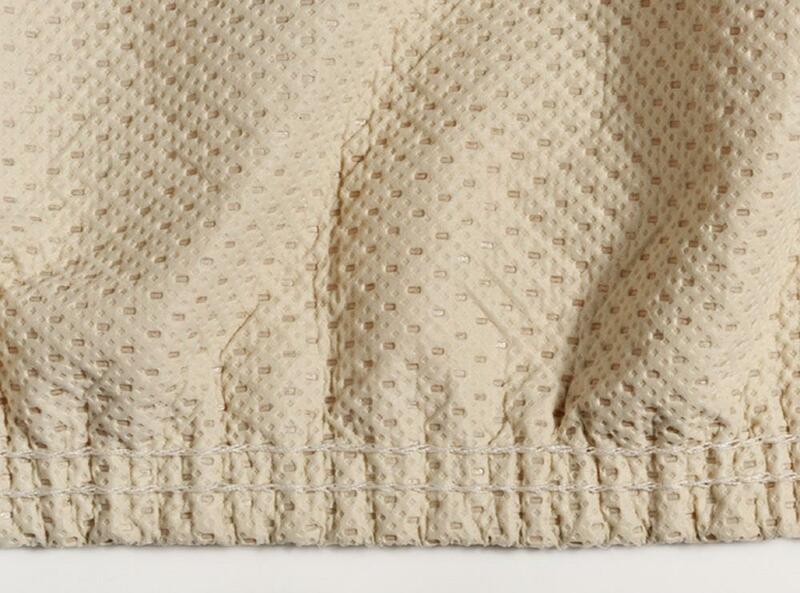 Our Stormweave Universal Ready-Fit 4 Layer Car Cover is made from the same material as our Stormweave Custom-Fit Car Covers. 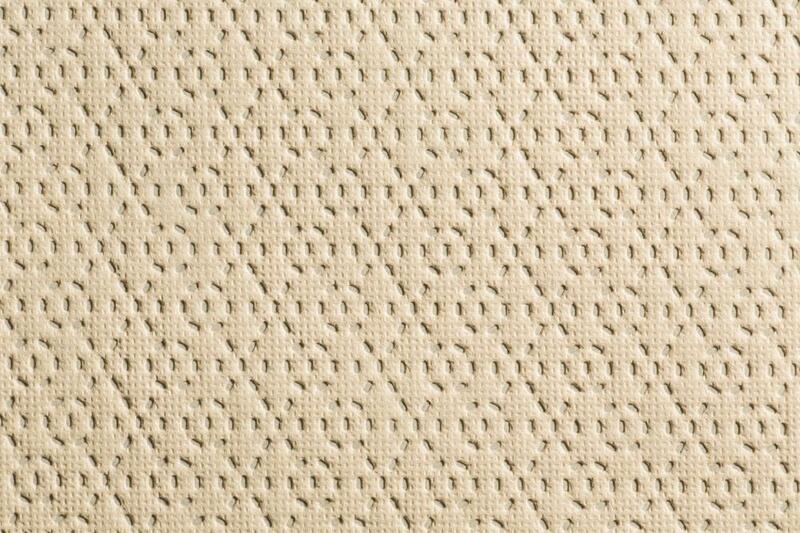 Stormweave's dense construction cushions against parking lot dings, nicks, dents and is resistant to tears and punctures. Stormweave is highly water resistant and blocks 99% of ultraviolet rays from the sun and has a 180 UPF (Ultraviolet Protection Factor); while other cheap imitation fabrics may have a UPF rating of only 40. This is important because UV rays are what damage both the interior and exterior of your vehicle; block the UV rays…protect the vehicle! Stormweave can help protect your vehicle's interior and finish from sun, rain, snow, dew, industrial pollutants, tree sap and animal droppings. The inner layer is constructed with similar processes used for our Dustop material, so there is gentle protection for fine paint finishes. 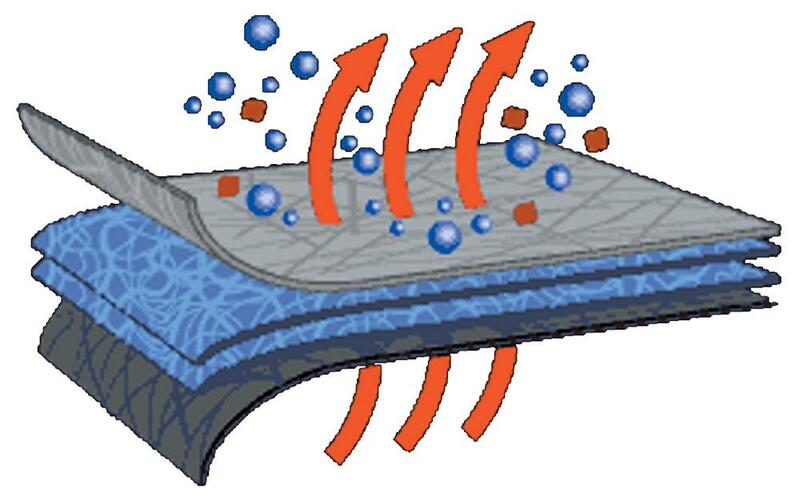 This unique four-layer car cover fabric construction includes two center layers made of short, dense fibers that act as a moisture barrier to repel water, yet allow the passage of air. 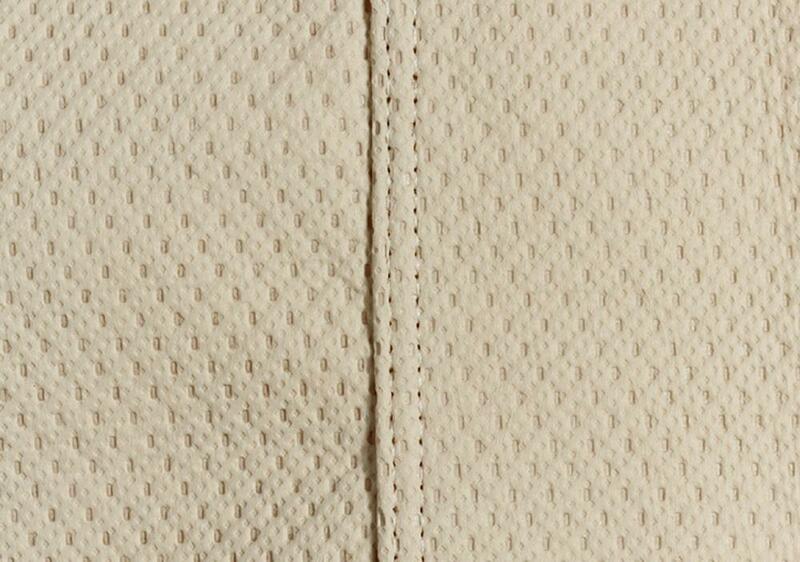 Recent improvements include a stronger outer layer and softer inner layer. 4-year limited warranty. Available in the color Tan. Material made in the USA, assembled in Mexico. How to Clean & Care for your California Car Cover Stormweave Car Cover. Place the cover in a commercial washer (smaller covers can be washed in a standard capacity home washer). Top Loading Machines: Pour 1/4 cup of Simple Green all-purpose cleaner into the washing machine after it has been filled with cool to warm water. Front Loading Machine: Pour cleaner directly into machine and then place cover inside. Use a gentle cycle if possible and rinse twice to remove excess cleaner. 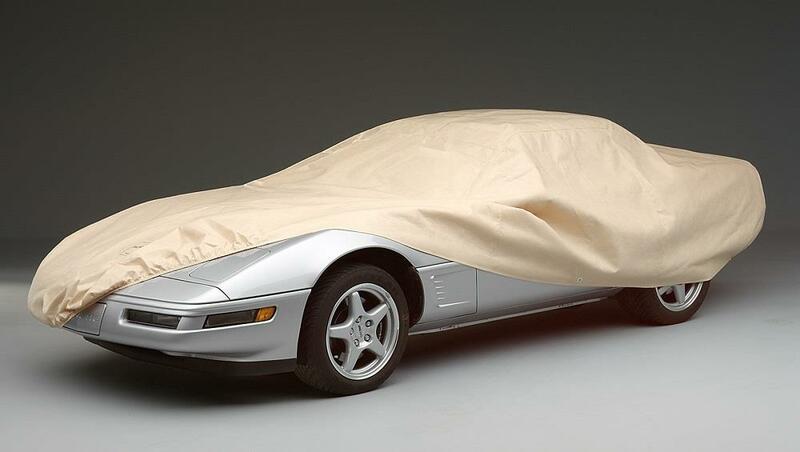 Place the California Car Cover on your vehicle inside out. Rinse thoroughly with water until suds are gone and allow to Air Dry on the vehicle or hang dry. To the original purchaser, California Car Cover Co., Inc. warrants its products from defects in materials and workmanship, and against the fabric becoming unserviceable within the published warranty time during normal use. This limited warranty does not cover wear, soiling, fading, shrinkage, or stains from normal usage and care. The product must be properly secured, maintained, and utilized for the purpose for which it was intended. California Car Cover Co., Inc. maintains the exclusive right to repair or replace the product within the published warranty period. Return Authorization Number - Before returning any product for warranty claims please contact California Car Cover Co. Customer Service 800-423-5525 ext. 3 to obtain a Return Authorization Number. Any product returned without an RA Number will be refused and shipped back to the original sender at sender’s expense. Subject to Inspection - All warranty and defect returns must be inspected at California Car Cover Co., Inc. before a product is repaired or replaced. Customer will send or bring car cover to California Car Cover at their expense. Please save shipping tracking # for your records. A review of the car cover material will be made and decision determined within 48 hours of receipt. If the car cover is to be repaired it will be done so in 5-10 business days and if the car cover is to be fully replaced under warranty, that will be done so in 10 business days. If a defect is determined and the product is within the published warranty period, the unit will be repaired or replaced, at the sole discretion of California Car Cover Co., Inc., and shipped back to the original purchaser freight prepaid. If no defect is found, California Car Cover Co., Inc. will return or destroy the product at the original purchaser’s request. The original purchaser is responsible for any inbound/outbound shipping expenses and all unclaimed returns will be disposed of 15 days after written customer notification. Not Covered - Issues that are not covered by the warranty include, but not limited to, any extraordinary acts of nature such as severe storms, high winds, hail, hurricanes, tornados, floods, freezing rain, ice, etc, or damage caused by animals or pets. In addition, any product abuse as determined by California Car Cover Co. is not covered under our limited warranty. When possible and as a courtesy, California Car Cover Co. will attempt to repair damaged covers at a reduced cost, upon customer approval and request. 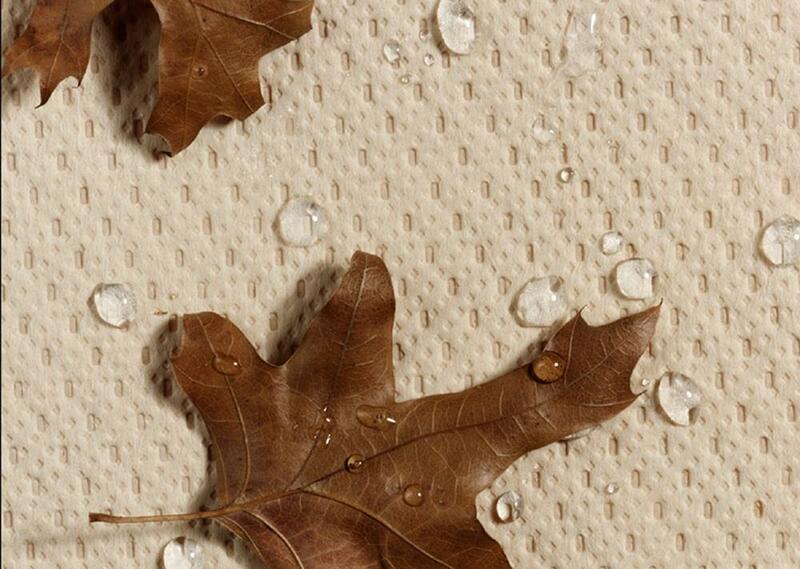 Fading, which occurs in all dyed fabrics, does not affect the performance of the cover and is not covered under California Car Cover Co., Inc. warranty. Credit Memos – Effective February 1st, 2007 California Car Cover Co., Inc. will no longer issue credit memos or refunds for warranty claims. If a product is found to have failed under warranty it will be repaired or replaced with an identical part number and shipped to the original purchaser or end user. The repaired/replaced product will retain the remainder of the original warranty. How Do I Know If My California Car Cover is Still Under Warranty? If you cannot locate your receipt, don't worry! We keep car cover information on file for the length of your warranty. Please give us a call and one of our Customer Service Associates can review your order history. Before calling, please have your car cover barcode/serial tag information ready. 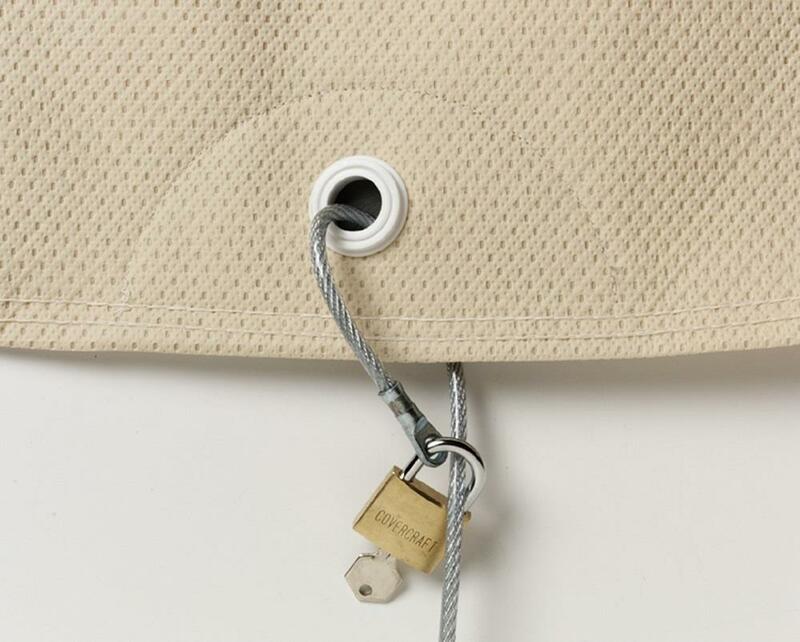 The serial tag is located along the front elastic hem of the car cover on the driver’s side. Having this information available during the phone call will reduce call time and expedite the return and inspection process. You can even email us a photo of the tag to check for warranty status.